Zacks Trade has seriously discounted commissions for all types of trading. What’s really amazing about Zacks Trade’s pricing structure is that all broker-assisted trades are free. If you need help with a complex bond, stock, futures, or options order, you can call Zacks and they will place the trade for you without an up-charge. Per share pricing of $0.01 is fantastic because all orders of 300 shares and below are just $3.00. This is one of the lowest rates in the online broker industry. In our opinion, customer service is where Zacks Trade truly shines. Since Zacks Trade uses the same software as Interactive Brokers, you might be wondering why you shouldn’t just go directly to the source and use Interactive Brokers instead. Well, among experienced traders, it is a fact that there is a demonstrable problem with Interactive Broker’s customer service. It’s not good. From Reddit threats to forums on Elite Trader, all traders seem to agree that IB customer service is garbage. Interactive Brokers has millions of clients in countries all over the world, and servicing all of their client’s needs is virtually impossible, so this isn’t surprisng. During market hours, merely getting in contact with Interactive Brokers can be a serious challenge. There are such a sheer amount of customers that need assistance, from institutional money managers to high net-worth individuals, that clients with a few hundred thousand dollars in assets are not prioritized in the slightest. I had a portfolio margin account at Interactive Brokers with over $120,000 in it, often times with massive positions in crude oil, and nearly every time I called in, I had to wait on hold only to speak with someone who wasn’t knowledgable or who didn’t seem to understand the issue I was having, i.e. unable to login, trying to calculate order cancellation fees, etc. Zacks Trade eliminates the poor customer service problem that Interactive Brokers has. This is evident even by just visiting the Zacks Trade website. There is a customer service agent on live chat that’s ready to help before signing up for an account. Also, if you need help placing a trade, you can call Zacks Trade and a licensed broker will place a trade on your behalf (called a broker-assisted trade) without charging you an extra fee. Typically, brokers charge upwards of $50 for broker-assisted trades, so this is a huge plus. Zacks Trade offers the same platforms as Interactive Brokers, and unfortunately, the market data fees are passed along. Since the Zacks Trade platform is professional-grade, however, this is somewhat expected. 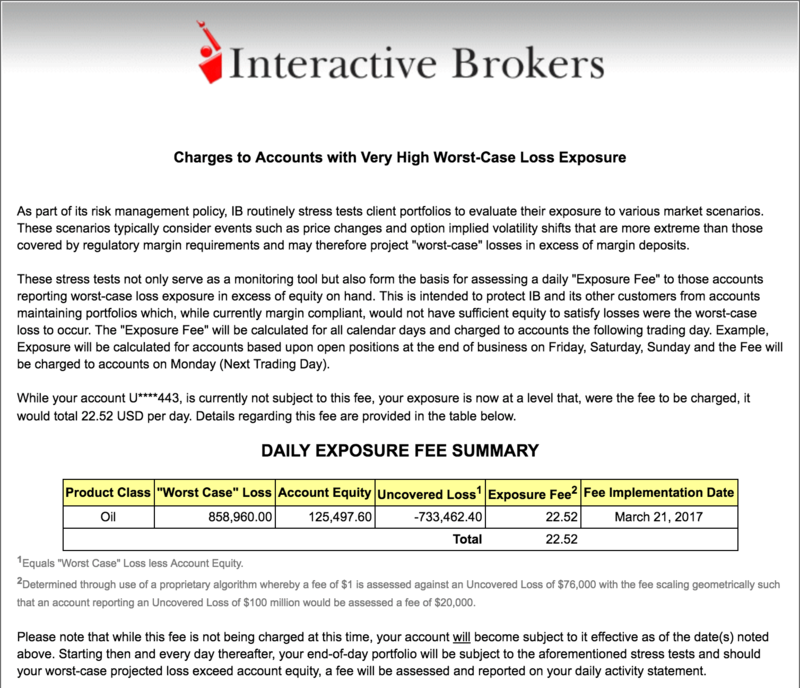 Zack Trade is Interactive Brokers without the inactivity fees, steep $10,000 account minimum, and poor customer service. For experienced and/or advanced traders, the Zacks Trade Pro platform is the go-to platform to use. It is downloadable for PC and Mac, and is capable of trading international equities, futures, options, and bonds. Just about every type of complex order is available on this platform. Some of the interesting order types that other brokers don’t offer are Iceberg orders (where the order size is hidden or not fully displayed) and orders with profit taking orders attached to the original order. One thing is for sure, if you’re planning on trading professionally, and need one platform to cover different assets in different countries, this is unequivocally the platform to use. For the recreational trader who only places a few trades every month, the web-based or mobile platform will likely be more suitable. We are quite fond of Handy Trader, the Zacks Trade mobile app. It has most of the same advanced order types as the desktop platform. The news feature loads relevant news for an industry or specific stock very quick. Placing trades is very straightforward as well, and for large orders, there is an option to receive a text message notification when your oder has been fully filled. All in all, this is a great mobile app that isn’t overly complicated, yet still manages to include very advanced order types and trading functionality. Although new traders can use Zacks Trade without downloading any software, the learning curve might be somewhat steep for first-time traders. We have used both the the web-based and downloadable platforms extensively, and the if you are looking to trade right away, the web-based platform is easier to get the hang of. We had no issues whatsoever placing trades on the mobile application; we actually found this easier to use for the first time than both the desktop and web platforms. 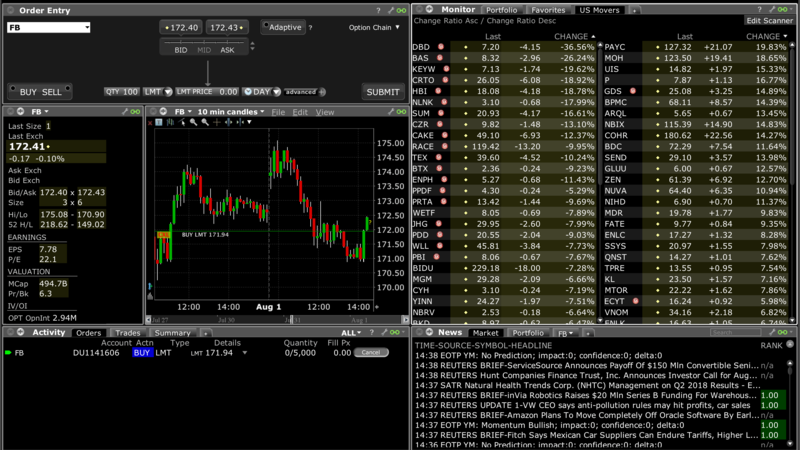 The Zacks Trade Pro downloadable platform is highly customizable, down to the color and style of font. It is possible to change the entire look and feel of the platform, and although this may not necessarily result in more profitable trades, everybody has a different style and the platform is very accommodating. We were not able to find any Zacks Trade promotional offers. Trade stocks for as low as $1 until 2019 at Zacks Trade. Learn More. Overall, Zacks Trade adds a lot of value to the DIY trader looking for advanced trading capabilities without the downsides of Interactive Brokers. Additionally, Zacks Trade has the lowest margin rates in the industry, some of the lowest commissions in the industry, and a full suite of free trading platforms. Zacks Trade is best for traders who demand the most powerful trading technology and customer service. If you trade for a living, Zacks Trade is a clear choice.